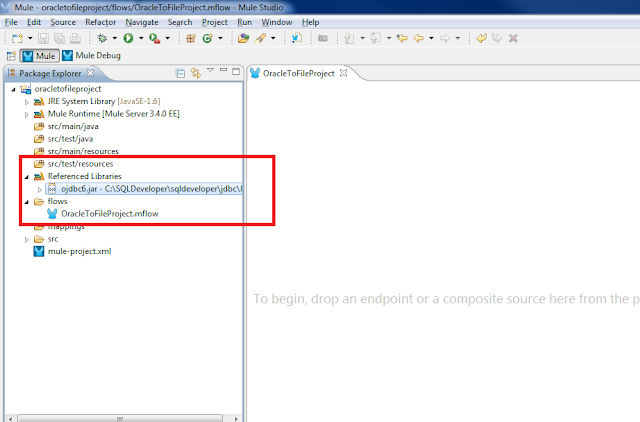 In the rest of this documentation, <TomcatPath> points out the path where Tomcat has been installed. 1. 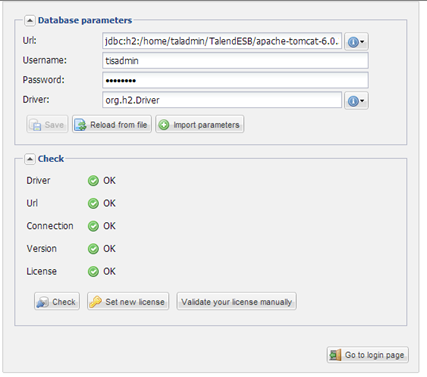 Unzip the package delivered by Talend: Talend-AdministrationCenter-rYYYYY-VA.B.C. • Talend-Artifact-Repository-VA.B.C.zip, the archive containing an artifact repository software, based on Apache Archiva, that will be used to handle software updates, and also ESB artifacts, only if you subscribed to one of Talend ESB oriented solutions. Center, only if you subscribed to one of our ESB oriented solutions. 3. 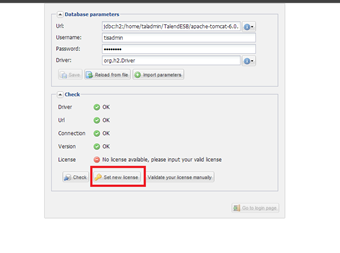 If you subscribed to one of our ESB oriented solutions, to be able to use the ESB Conductor module of Talend Administration Center, copy the endorsed folder provided into the root directory of Tomcat. On Selection of the license. 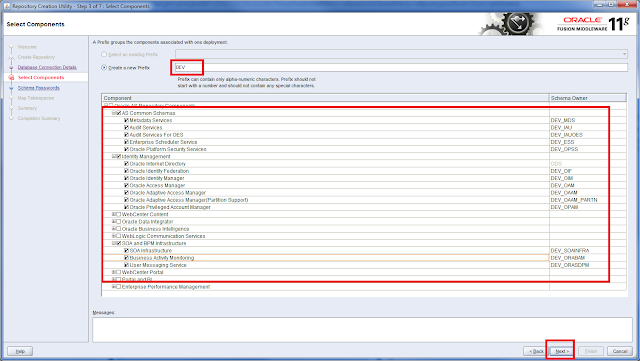 The Admin Center validates that information and following screen is displayed. PuTTY is a free terminal emulator that supports SSH, Telnet and Rlogin network protocols. 1) Connection à Data – set Terminal-type = xterm or vt220. 3) Window à Colours – leave background as black, Modify Default Foreground(text) as desired. Xming is the leading Free Software X Window Server for Microsoft Windows. -Xming 2.15MB Microsoft Windows program installer. -Standard Xming uses the OpenGL renderer. -Installs only the absolute minimum fonts and includes the XLaunch wizard as an optional component. -providing the bulk of X Window standard fonts. àInstall fonts in the folder where Xming is already installed. Execute Xming – icon will open in system tray on bottom right of screen. 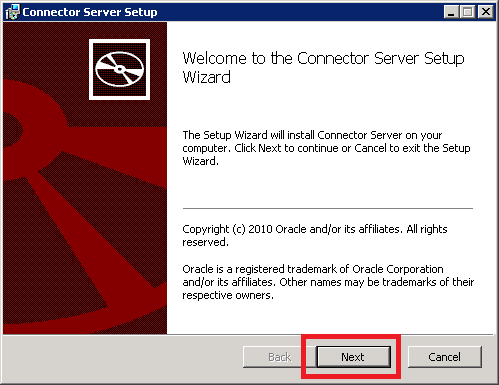 Execute PuTTY à connect to server à enter xterm – the new window will open. 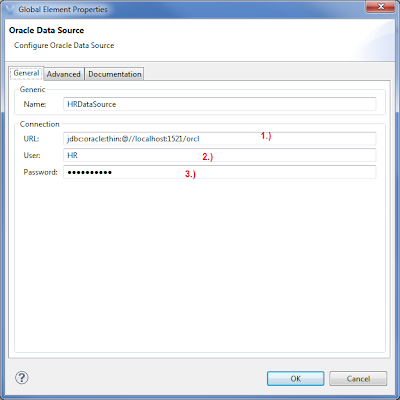 openssl pkcs12 -export -out identity.pfx -in selfsigned.pem -name "selfsigned"
To connect with individual databases, JDBC (the Java Database Connectivity API) requires drivers for each database. 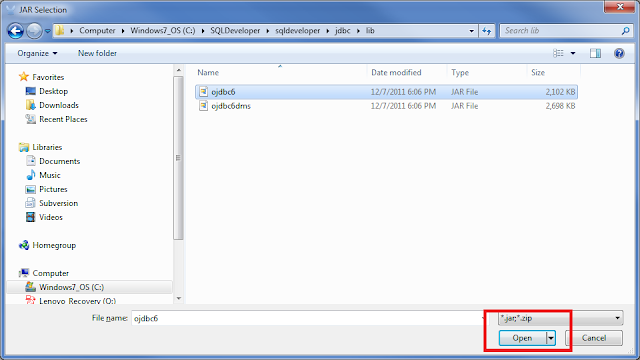 The JDBC driver gives out the connection to the database and implements the protocol for transferring the query and result between client and database. 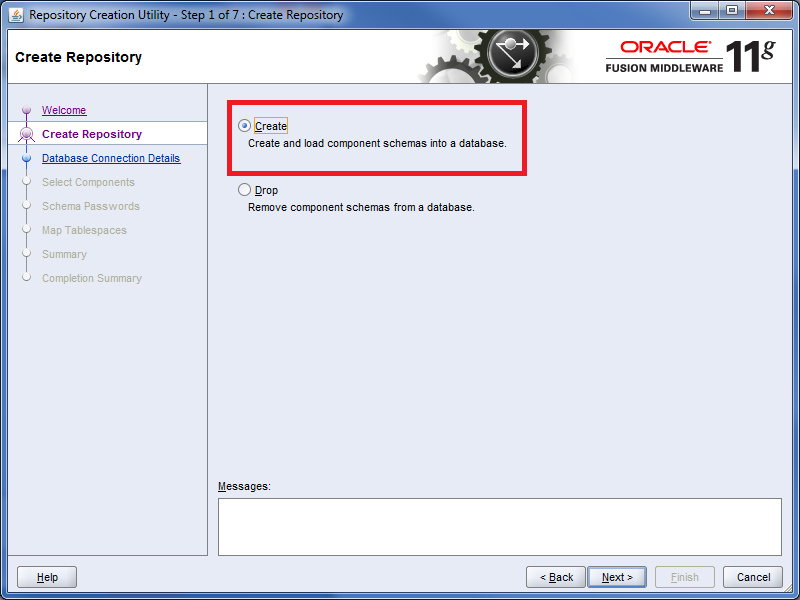 Choose the location of the Oracle JDBC driver. Press Open. You can the driver in the Referenced Libraries . 1.) 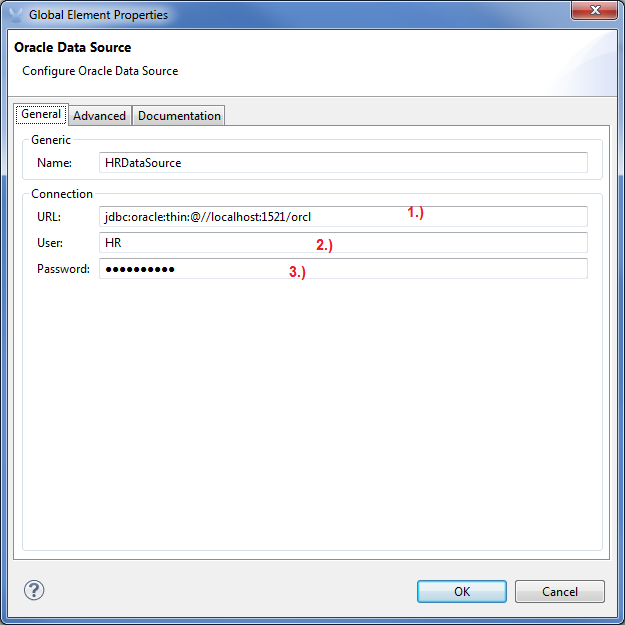 Enter JDBC URL;2.) Enter user name; 3. )Enter password. Choose the Data Source and Press OK.
By default the passwords for OIM and SOA infrastructure tables expire in 180 days. 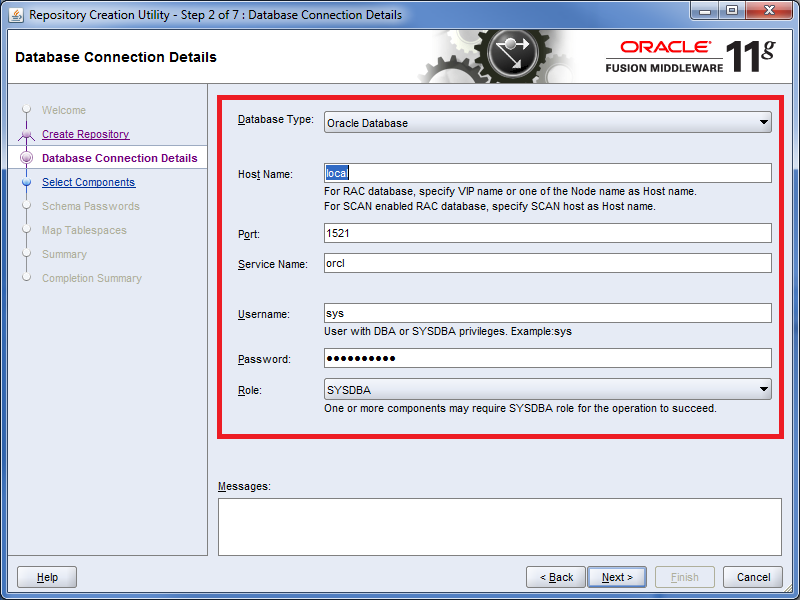 Incase the password expire we need to reset the password so the OIAM and SOA managed servers can be started. To resolve this issue, following steps can be taken. 1.) 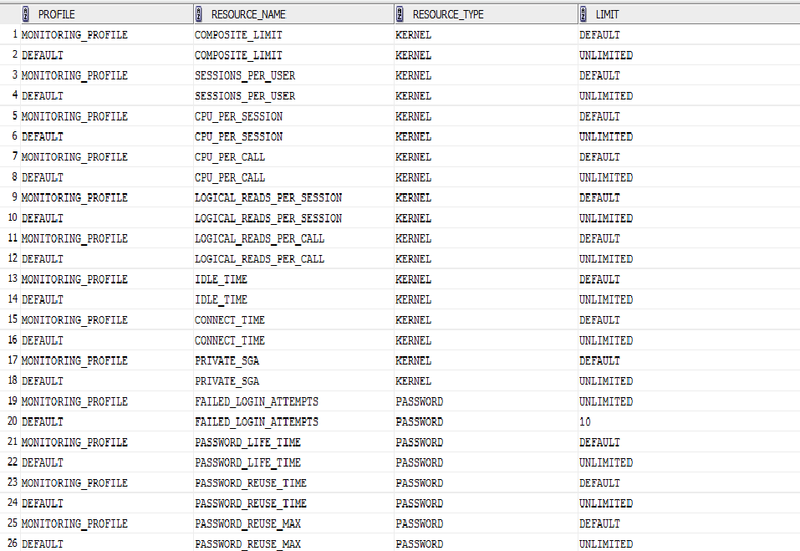 Connect to database using sys users. Here PASSWORD_LIFE_TIME field is responsible for expiring of password after 180 days. 5.) We need to Reset the password of the locked user. We can use the same password or a different password. 6.) SPOOL file will give a list of ALTER USER commands. execute these commands to reset the passwords. 8.) 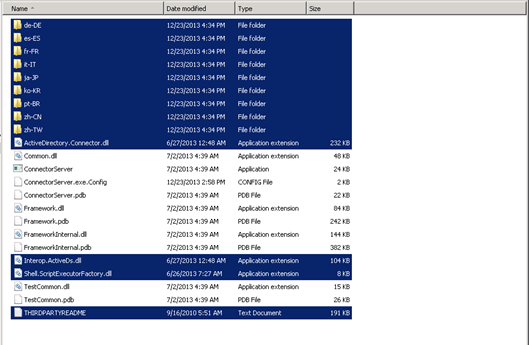 Run all the ALTER USER username ACCOUNT UNLOCK from the spool file. 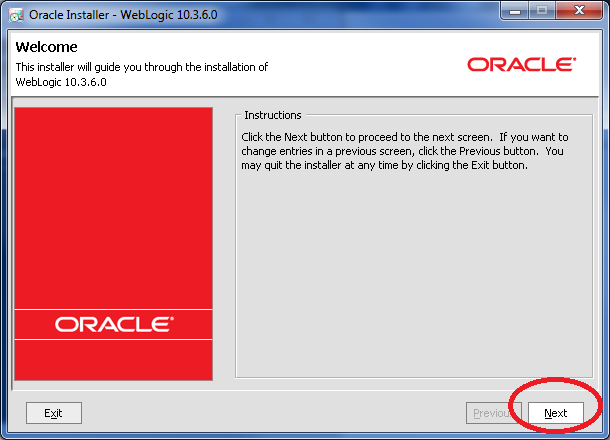 Please ensure that you DO NOT UNLOCK those users which are recommended to remain LOCKED by Oracle. 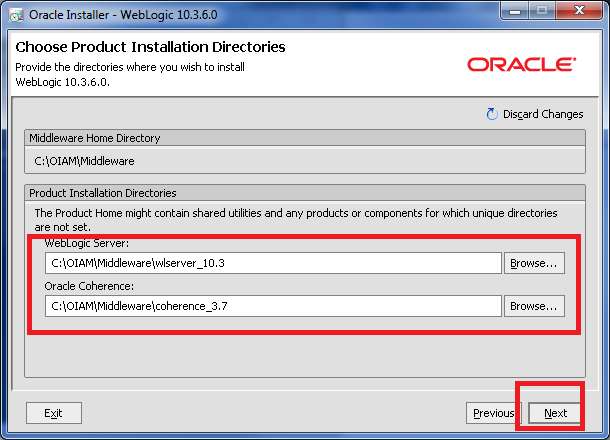 Use the cd command to move from your present working directory to the <Middleware_Home>\wlserver_10.3\server\lib directory. To set this variable, right-click the My Computer icon and select Properties. The System Properties screen is displayed. 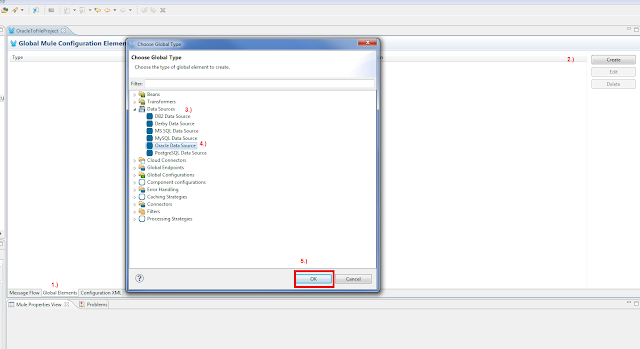 Click the Advanced tab and click the Environment Variablesbutton. The Environment Variables screen is displayed. 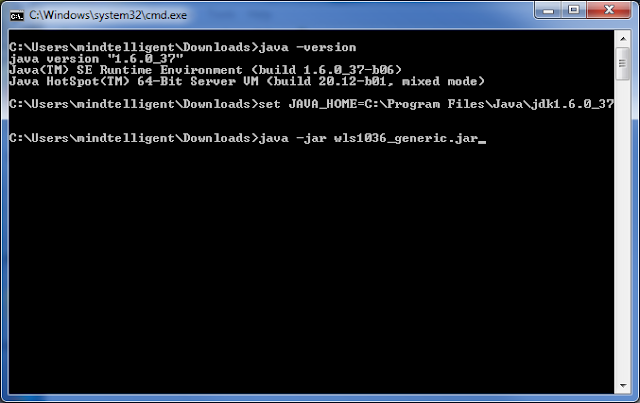 Ensure that the JAVA_HOME variable in the User Variables section is set to the path of the JDK directory installed on your machine. 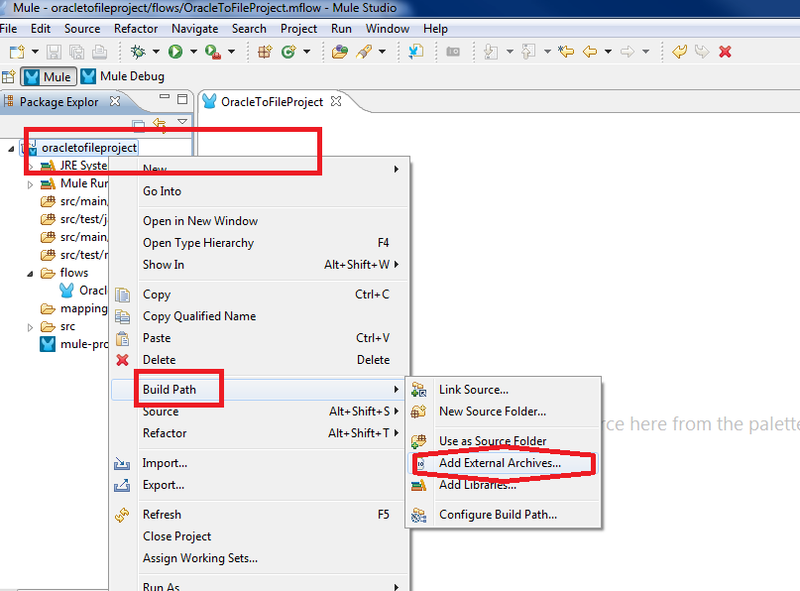 After setting the JAVA_HOME variable, select the Path variable in the System Variables section on the same Environment Variables screen, and click Edit. 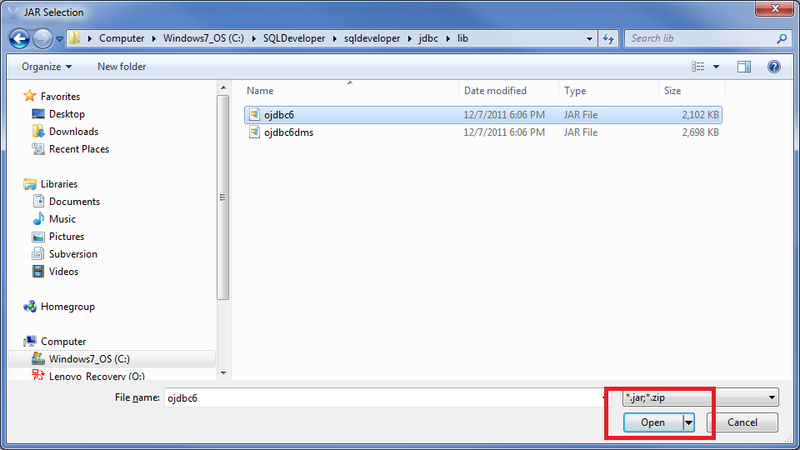 The Edit System Variable dialog box is displayed. 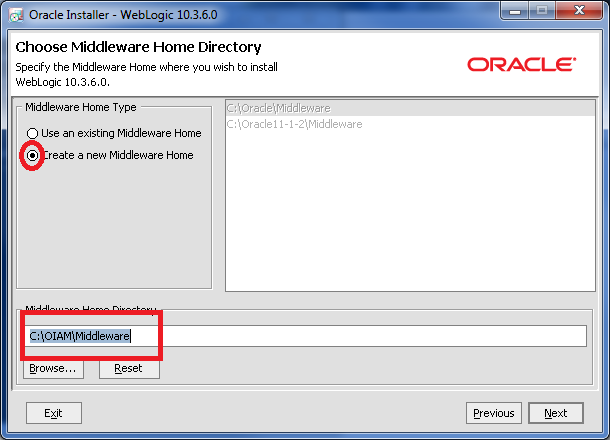 In the variable value field, enter the complete path to your JAVA_HOME, such as D:\oracle\<Middleware_Home>\jdk160_11, preceded by a semicolon (;). The semicolon is used as the delimiter for multiple paths entered in this field. After verifying the values, click OK. Copy the wlfullclient.jar file to the <Oracle_IDM2>\designconsole\ext\ directory on the machine where Design Console is configured. 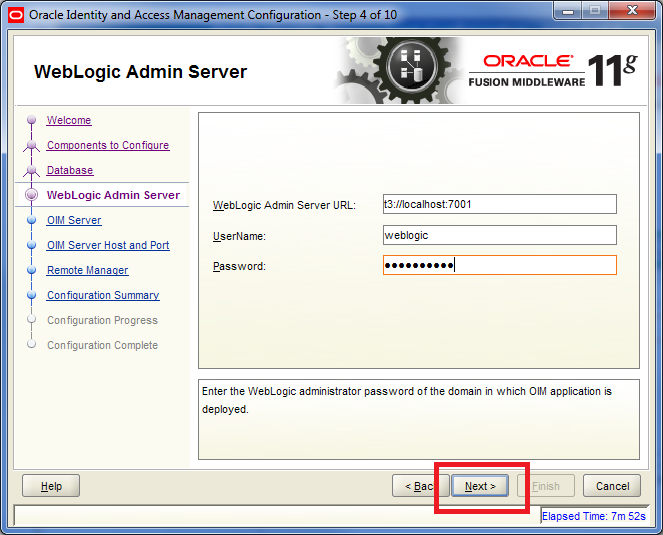 Ensure that the Administration Server and the Oracle Identity Manager Managed Server are started. Start the Design Console client by running the xlclient.cmd executable script, which is available in the <IDM_Home>\designconsole\ directory. 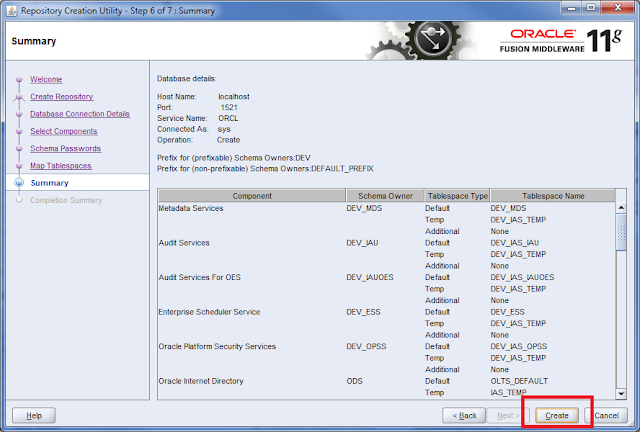 Log in to the Design Console with your Oracle Identity Manager user name xelsysadm and password. 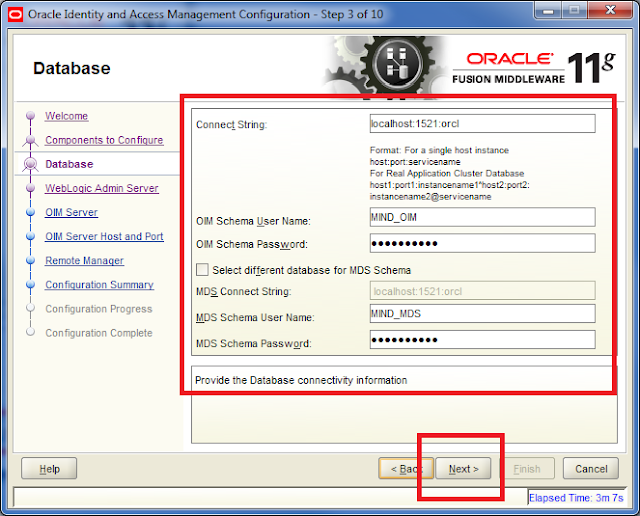 Access Management 11g Release 2 (11.1.2). Launch of rcu will bring the following screen. Click Next. Enter Database Information Host, Port, Service Name, Username and Password. Click OK on Checking Prerequisites window. 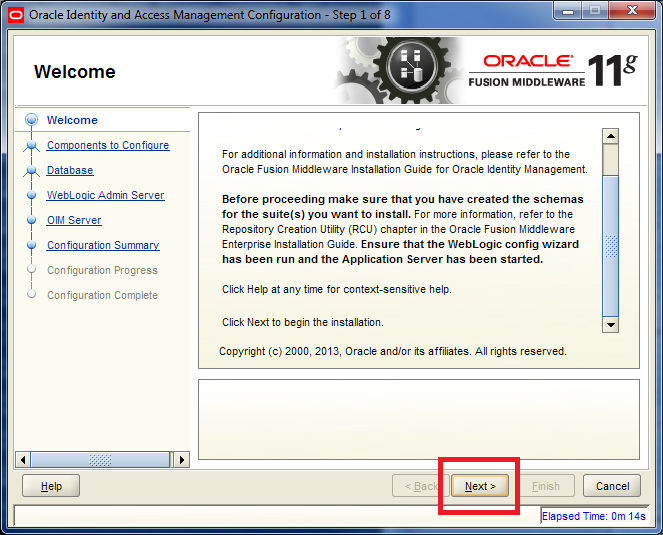 OIM 11g Release 2 (11.1.2) Download, Installation, and Configuration- Part 6 Configure Oracle Identity Manager Server. To start the Oracle Identity Manager 11g Configuration Wizard, execute the <IAM_Home>/bin/config.sh script (on UNIX) on the machine where the Administration Server is running. (<IAM_Home>\bin\config.bat on Windows). 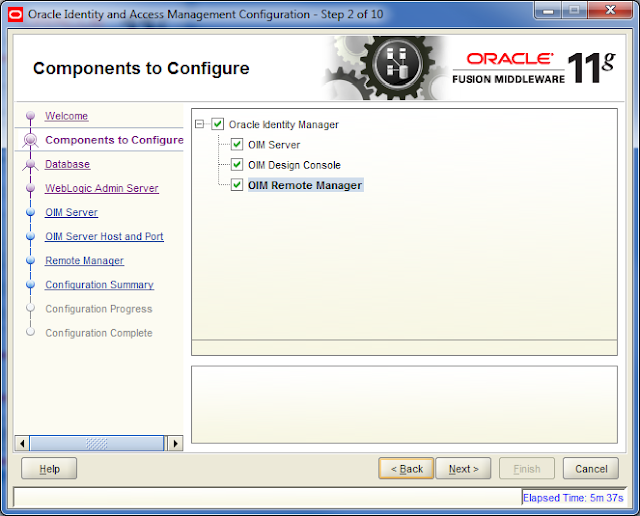 The Oracle Identity Manager 11g Configuration Wizard starts, and the Welcome Screen appears. 1. Log in to the Oracle WebLogic Server Administration Console. 2. 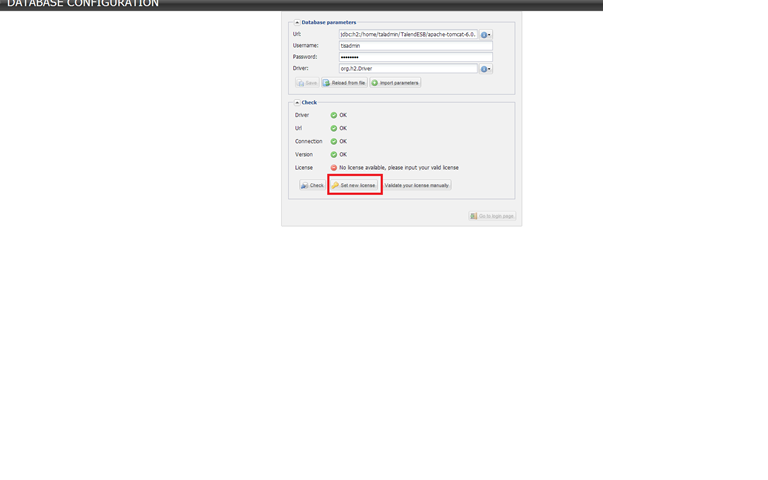 In the Change Center region, click Lock & Edit to enable modification to the settings on the page. 3. 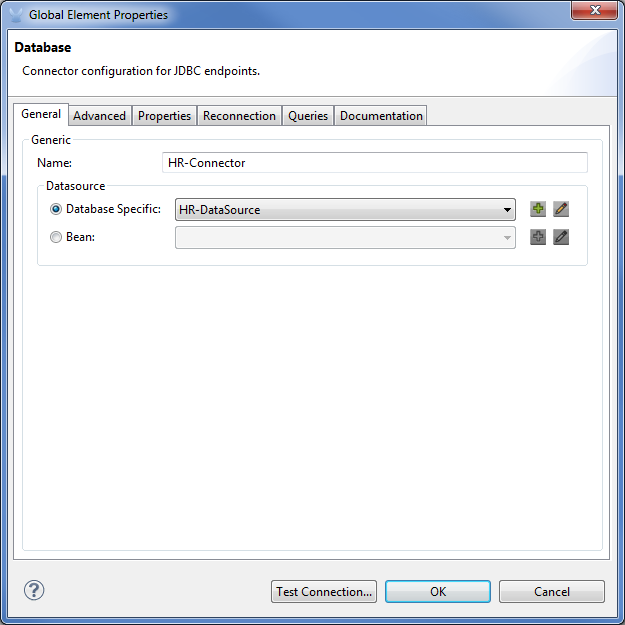 In the Domain Structure region, click Deployments. 4. 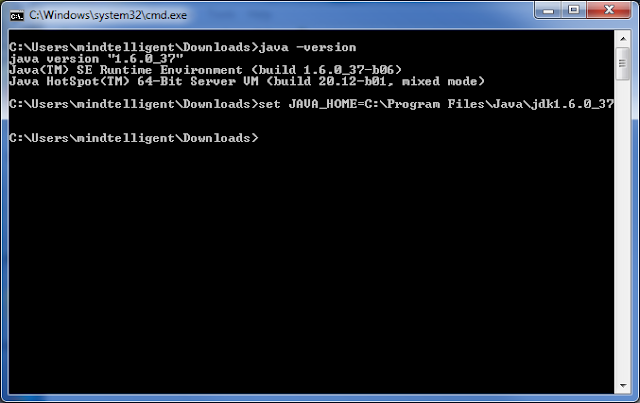 On the right pane, click Install. 6. 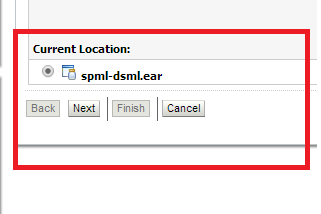 In the region following the Current Location field, select spml-dsml.ear and then click Next. 7. 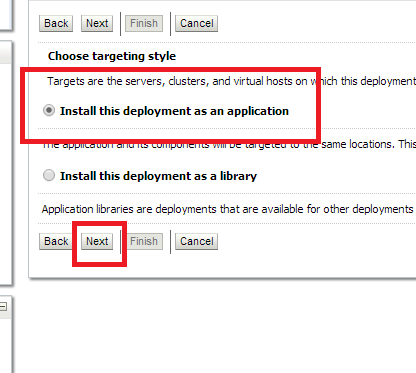 On the Choose targeting style page, click Next to accept the default selection and proceed with installation. 8. 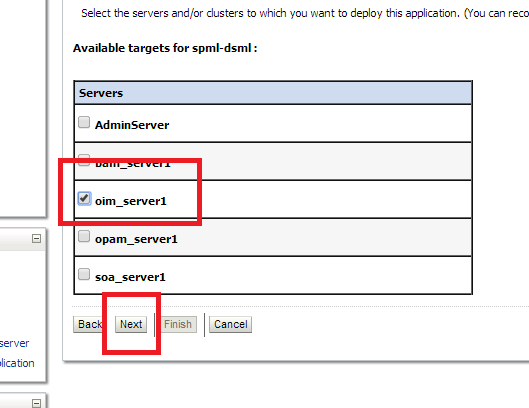 On the Select deployment targets page, in the Available targets for spml-dsml region, select oim_server1 if Oracle Identity Manager is installed in a nonclustered environment. Otherwise, select oim_cluster. 10. On the Optional Settings page, in the Source accessibility region, select I will make the deployment accessible from the following location, and then click Next. 11. On the Review your choices and click Finish page, verify the data that you have provided, and then click Finish. 12. 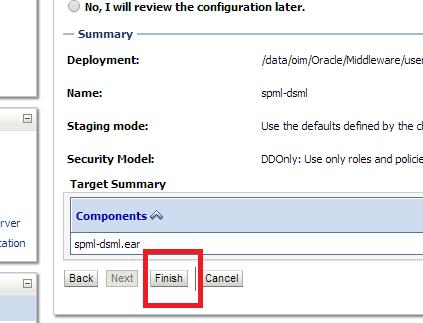 On the Settings for spml-dsml page, review the configuration information of the deployed SPML-DSML Service, and then click Save. 13. In the Change Center region, click Activate Changes for the changes to take effect. 14. On the left pane, in the Domain Structure region, click Deployments. 15. 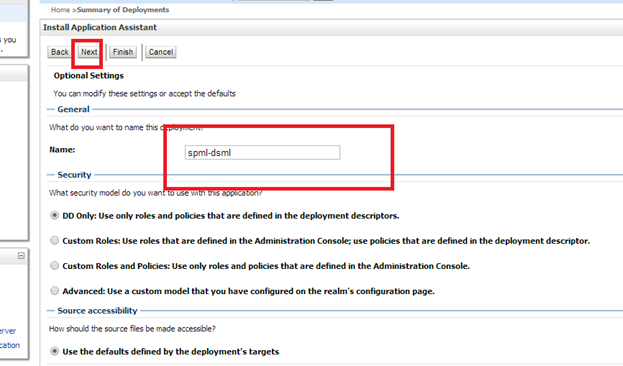 On the right pane, in the Deployments table, select spml-dsml, and then from the Start list, select Servicing all requests. The SPML-DSML Service is started. The connector server is the Windows server. 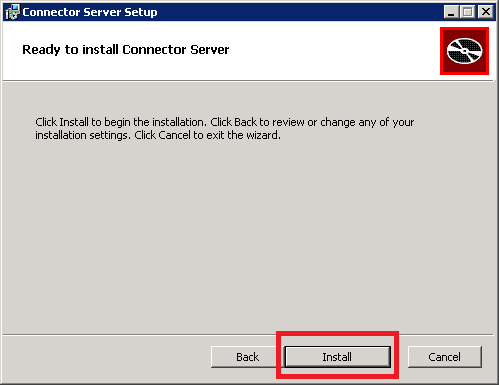 Before installing the Connector Server, ensure that .NET Framework 3.5 or above is installed on the same server where we are installing the Connector Server. 2. 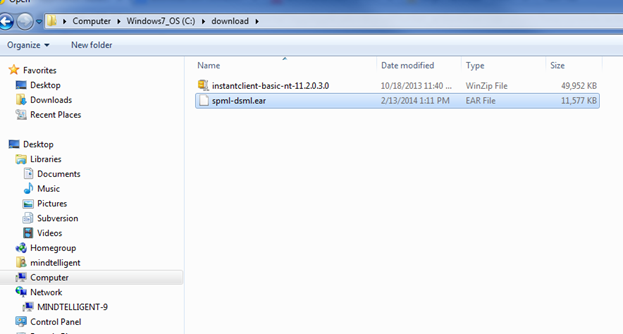 Extract the contents of the Connector Server package (Connector_Server_111210.zip) and locate the ServiceInstall-1.4.0.0.msi file. 3. 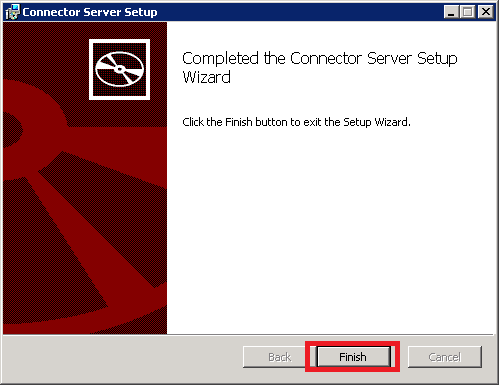 Install the Connector Server by running the ServiceInstall-1.4.0.0.msi file and following the wizard. 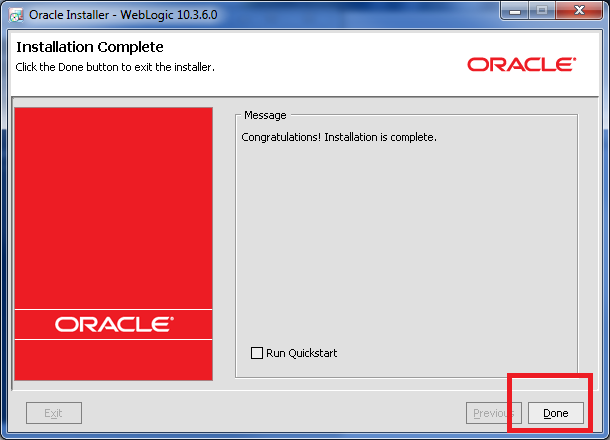 The wizard takes you through the installation process step-by-step. After completion, the .NET Connector Server is registered as a Windows service. 4. 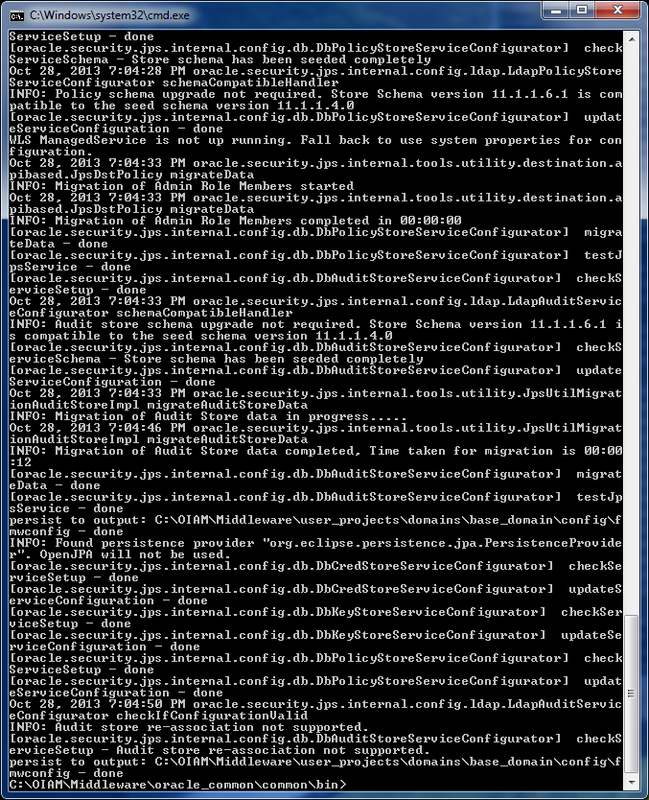 Start the Microsoft Services Console. 5. If the .NET Connector Server is running, stop it by stopping the Windows service named Connector Server. In this command, NEW_KEY is the value for the new key. This key is required by any client that connects to this .NET Connector Server. 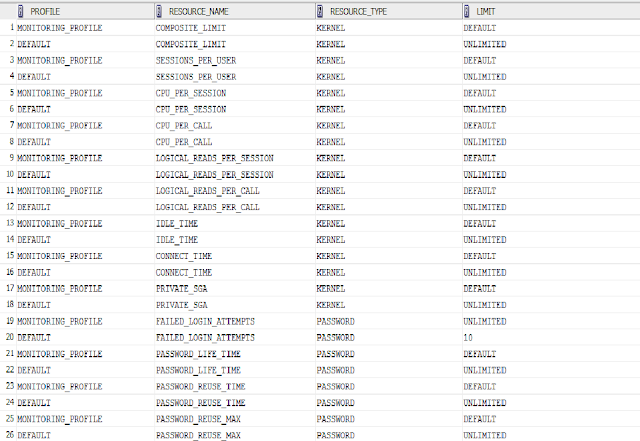 ü Port number: To change the port, set connectorserver.port to a value other than 8759 (If require in Production. For example: port enablement or Firewall issue). 9. Restart Connector Server by restarting the Windows service. This thread discuss configuration of the AS2 communication channel using B2B console. To navigate to the SOA B2B console , please use the URL http://hostname:port/b2bconsole where hotname is the name of the host where Oracle SOA stack with b2B is installed, port is the port where the SOA Managed Server is listening. 5.) Create a Document Type 180. 6.) Create Document Definition by using the XSD and ECS file that were created using document Editor. 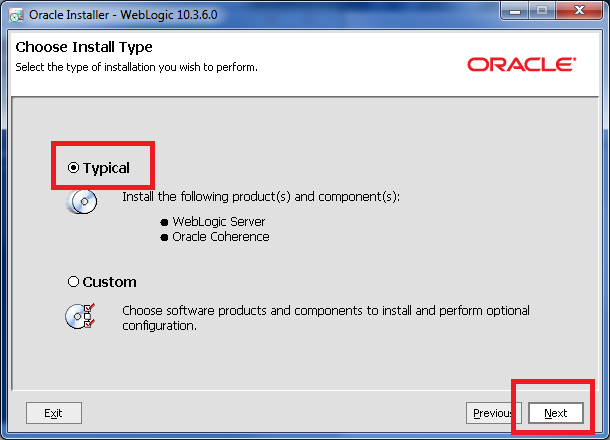 Full or Patch Set Installer? 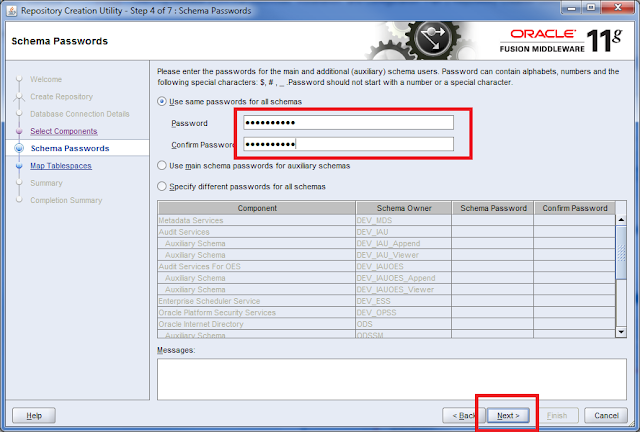 Oracle Identity and Access Management Full Download Oracle Identity and Access Management 11g Release 2 (11.1.2) from Oracle Software Delivery Cloud. 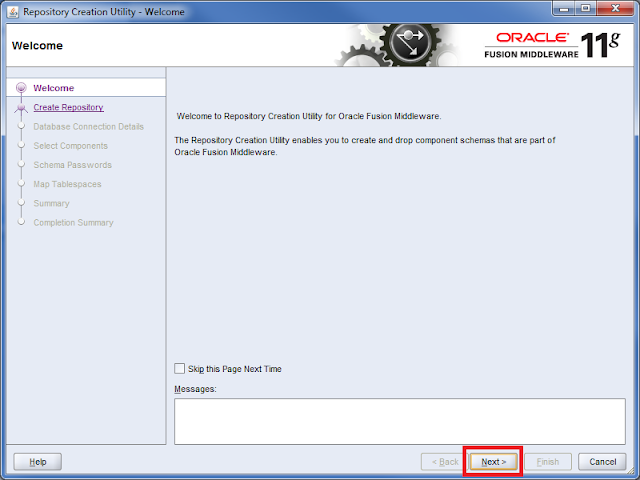 Oracle Unified Directory Full Download Oracle Unified Directory 11g Release 2 (11.1.2) from the Oracle Software Delivery Cloud. Run the java -version command (or java -d64 -version command on UNIX or Linux platforms using a 32/64-bit hybrid JDK) to ensure that yourJAVA_HOME refers to a 64-bit JDK.